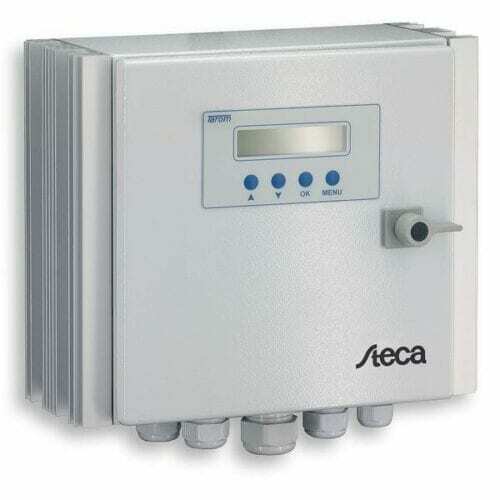 Specially designed for industrial and outdoor applications, the Steca Power Tarom 2070 Solar Charge Controller 12-24V comes with an IP 65 casing made of powder-coated steel. This solar charge controller is capable of regulating large systems at three voltage levels (12 V, 24 V, 48 V). The Steca Power Tarom is based on the technology of the Steca Tarom controller. When connected in parallel, several controllers from this series can be operated via a standard DC bus in a simple solar home system or a hybrid system.